And, while leaving a sufficient cavalry force to monitor the movements of the Army of the Potomac, the officers he left were not skilled enough to do so successfully. Thus while Stuart "was not necessarily blameless, he had a great deal of company." On 3 July, Stuart's cavalry was posted to the east of Gettysburg with orders to cut off any Union retreat and to cause general turmoil. There they were checked by David McM. 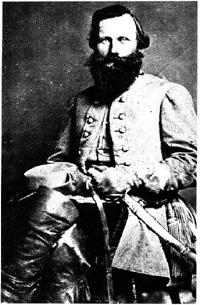 Gregg's Second Cavalry Division and George Armstrong Custer's 1st Michigan Brigade from Judson Kilpatrick's horse division.